Where do our transit vehicles sleep at night? Buses all settled and snuggled in for the night! Our transit vehicles spend their days moving many people around Metro Vancouver, but have you ever wondered what happens to them after a long day of work? Each night, our SkyTrain vehicles, SeaBus vessels, buses and West Coast Express trains return to their homes for a well-deserved rest before they gear up for another busy day. 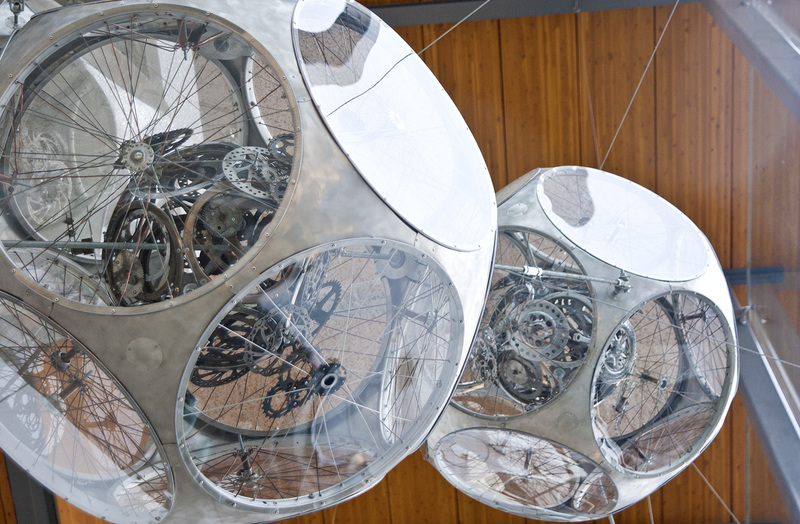 January kicked off with the start of the 14th Annual Pacific Northwest Real Estate Challenge. This annual event was hosted by NAIOP’s Vancouver Chapter and marked the first time in history that this competition has been held on Canadian soil. The Pacific Northwest Real Estate Challenge has teams consisting of real estate program students from various Northwest universities competing for the best design of a high profile development in a major metropolitan area. Each team must design and propose a development and strategy that may be implemented after the competition. This year, TransLink partnered with NAIOP to have students propose plans for Coquitlam Central Station on the Evergreen Extension, a 14-acre project with a high volume of transit, residents and commuters. On March 9th, less than eight weeks from the first site visit, teams presented their final development to a panel of judges, TransLink officials, and members of the commercial real estate industry. 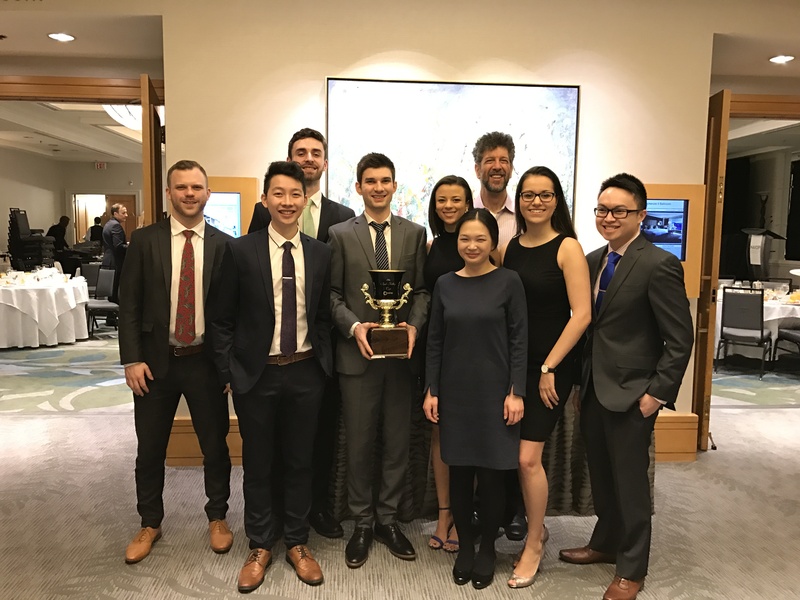 The home team from UBC finished ahead of University of Washington and Portland State, winning the NAIOP Bob Filley Cup and the potential opportunity to have their plan implemented by TransLink. Congratulations team UBC! We hope to see your plan in Coquitlam in the future! For more information about NAIOP and the Pacific Northwest Real Estate Challenge check out their website. Evergreen Extension off to a strong start! 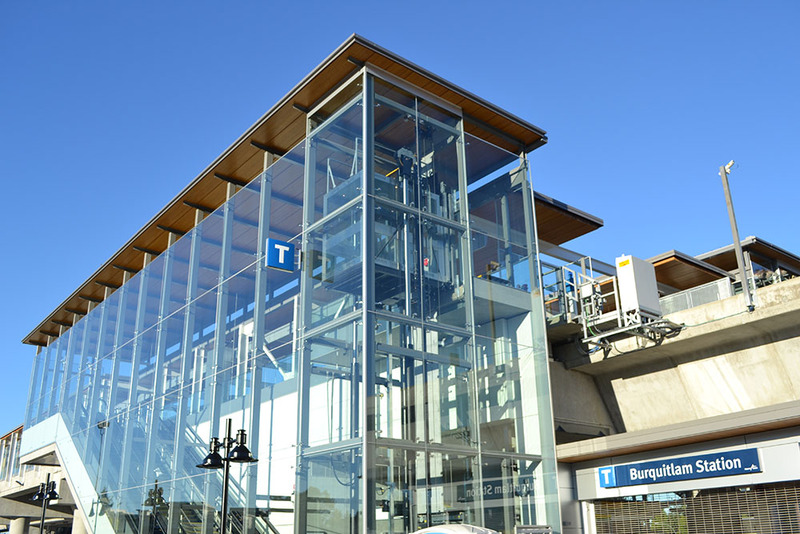 The Evergreen Extension to the Millennium Line leading out to Port Moody has been in operation since December 2, 2016. This extension has meant a faster and more direct route for thousands of riders a day plus better connections for West Coast Express riders. We are extremely happy to report that after only three months of service, the Evergreen Extension is attracting 30,000 daily boardings! in the Tri-Cities were on the Evergreen Extension! Because most of the growth and development in Tri-Cities today is happening near SkyTrain stations, transit becomes a key factor for new residents deciding where they live and work. 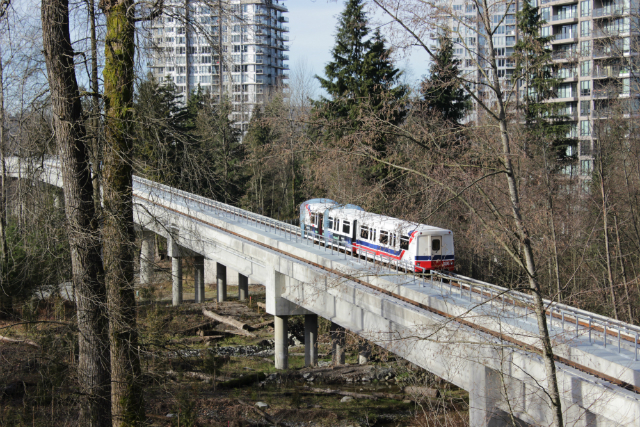 In the coming months and years, we anticipate many new residents, as well as bus and car users, will begin to take SkyTrain as they see the benefits of commuting by an interconnected rapid transit service. Approximately 30,000 trips were taken on an average weekday in January on Evergreen Extension. By comparison, the 97 B-Line, which largely covered the same route before it was discontinued, had only 10,000 boardings per weekday. 150,000 people tried the Evergreen extension during first eight weeks of operation, the equivalent of every resident of Coquitlam trying the line once. 46% of weekday transit boardings in the Tri Cities happen on the Evergreen Extension, while that number jumps to 60% on weekends. 20% of Evergreen extension trips start and end within the Tri Cities. For more information, you can see more information on the Evergreen ridership here. Do you travel on the Evergreen Extension? 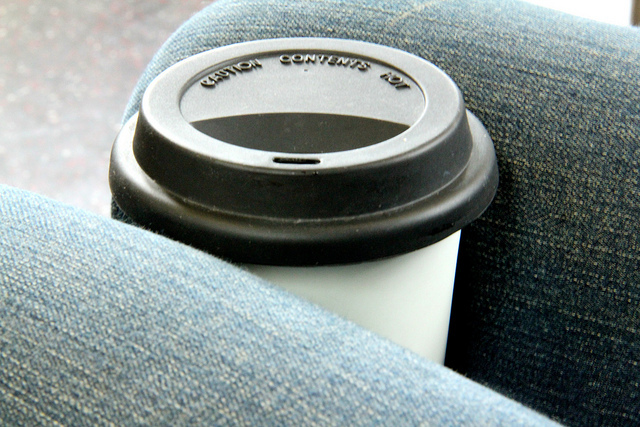 Check out our latest Evergreen Explorer blog about grabbing a cup of joe on your commute! Coffee and commuting go hand in hand, no? If you’re anything like me, your go-to travel companion is your to-go coffee mug. Whether you’re making your daily commute, or just looking for a transit friendly stop for coffee with a friend, here’s a list of locations along the Evergreen Extension to get your daily grind. Production Way–University Station – Looking for coffee at this stop? Look no further than Mac’s Convenient Store. It’s no gourmet coffee shop, but if you’re in need of a quick pick-me-up, this location is just a few steps outside the station! Lougheed Station – For an extra special latte, look no further than Coffee Monster. Their latte’s are amazing, but their latte art puts them over the top — you wont be disappointed. Located on North Road, just down the street from Lougheed Station this is the perfect stop to perk you up! Bonus! If you have a 2017 Entertainment Book, check it out for valuable coupons! Lougheed Mall is home to Starbucks Coffee, Tim Horton’s, and a David’s Tea. 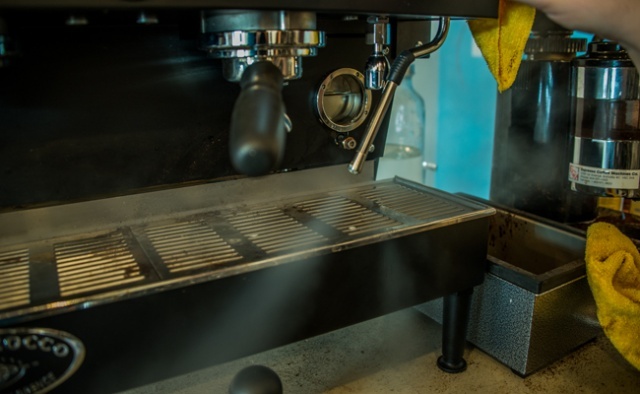 Burquitlam Station – Connected Minds Cafe & Roastery boasts fresh coffee as unique as you. Get your custom roasted coffee, roasted right before your eyes in 20 minutes! Delicious pastries and other treats can also be found here. Moody Centre – Try something different by visiting the Lazy Den Tea House for a bubble tea to go. Known for their amazing pies, Gabi & Jules does more than one thing right! Visit this cafe on Clarke Street in Port Moody and enjoy you java with a slice — or the whole pie! Gabi & Jules gives back with a portion of all pie proceeds to two not-for-profit, volunteer organizations have been advocating for support services for families dealing with Autism. Inlet Centre – Gallagher’s Coffee Bar and Starbucks are a short jaunt down the way into Newport Village. A unique village with quaint shops and a variety of watering holes. Coquitlam Central – If you’re in a rush, Creekside Coffee Factory is unlikely the place to go. Not for a lack of service or timeliness, but like a good cuppa-joe, you’re going to want to sit and enjoy this place. There is almost always a rush and buzz of people at Creekside Coffee Factory, and while it could be for their delicious beverages and treats, I personally think it’s for their well known stuffy mascot Bearicano! Lincoln Station – This is the most convenient station to Coquitlam Centre Mall, home to Starbucks, David’s Tea, and Tim Horton’s. Also just down the street from Lincoln Station is Him & I Cafe. This quaint location has ample seating and big bright windows perfect for nestling in with a good book, catching up on your studying, or people watching! Their homemade pastries and cakes are to die for. Try the Black Forrest Cake! Lafarge Lake–Douglas – A short walk from the terminus station you can find one of three Caffé Divano locations (also located in Burnaby and Port Moody). Fun Fact: Owners Patrick and Lisa Beecroft also own Gabi & Jules located near Moody Centre! Bonus! If you collect Belly rewards, Caffé Divano is a participating member. If you’re craving a Canadian Coffee & doughnut fix, Douglas College just up the street is home to a small Tim Horton’s. Where is your favourite place to caffeinate along the Evergreen Extension? We had a blast opening up the Evergreen extension on Friday! If you missed it, check out these videos and images as well as our post on Friday. Marion Harmer, who helped name the Evergreen Extension! Front of the line for the first ride! Lots of fun at the community celebrations! The Evergreen Extension is now open!!!!! With the cutting of the ribbon the Evergreen Extension is open! It’s official. The Evergreen extension is live! It’s been a fantastic day so far. Come on down and join us! 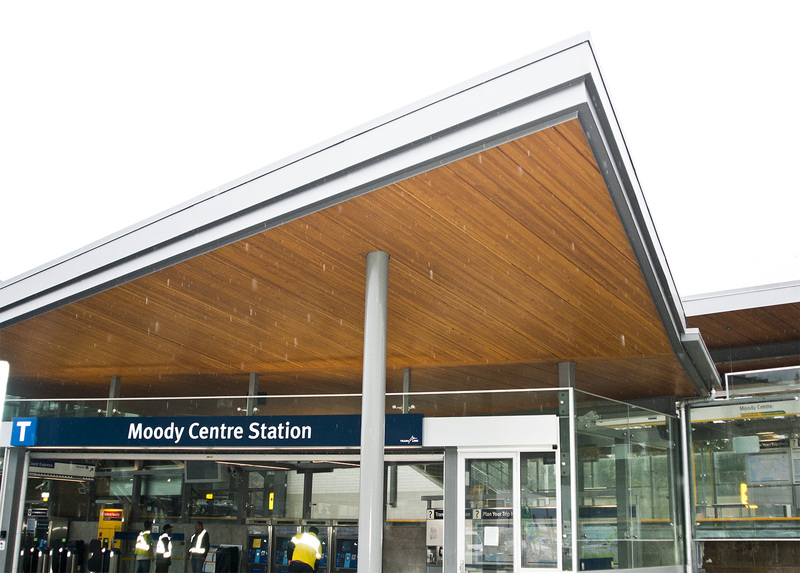 Premier Clark rode the first official non-public trip of the extension from Moody Station to Coquitlam Centre Station. 10:30 a.m. 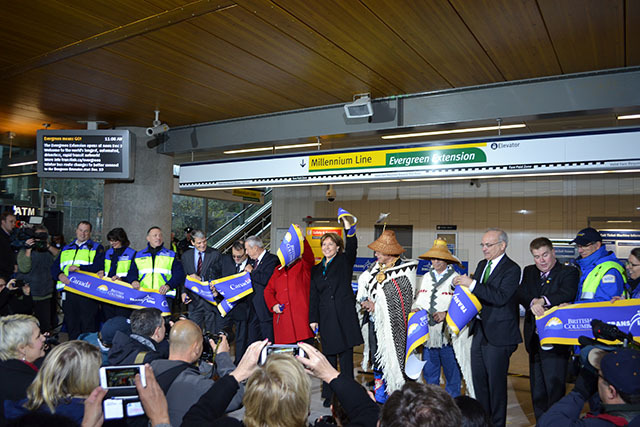 The Premier, officials from all levels of government including First Nations as well as TransLink CEO Kevin Desmond announced the opening of the Extension. We also live streamed on Periscope. 12 p.m. The extension opened for the first public trips! 12-7 p.m. 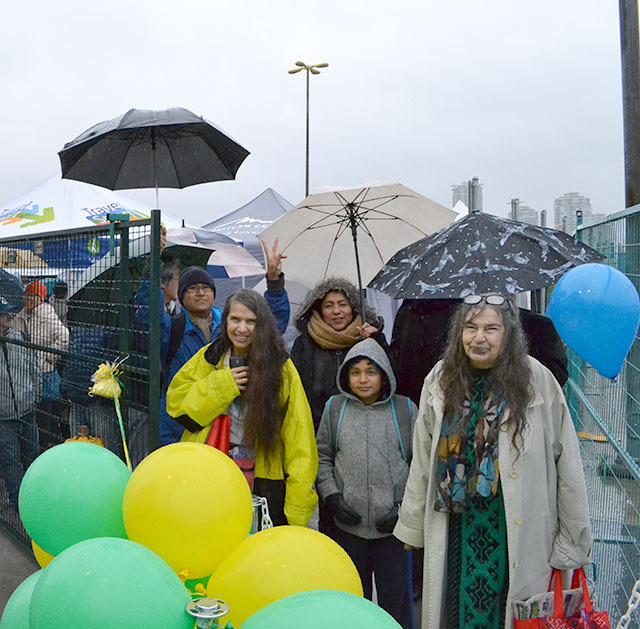 The community celebration is being held at all of the six new SkyTrain station on the Evergreen Extension. There’s a lot more fun to be had today and tomorrow on the extension like live performances, a photo book, SkyTrain cut outs, Transit Police with their dogs, a community outreach bus, TRAMS buses, food trucks, and Lego displace of one of the Lafarge Lake-Douglas station that is out of this world! First in line to ride the train. We are over the moon excited that the Evergreen Extension will be opening on December 2, 2016! However, we do understand that this changes transit options for many of our customers. To help prepare everyone for the opening, this community engagement bus will be touring the Tri-Cities and getting riders on board and informed about new or changed bus routes, trip planning and more! Outreach teams will be on and around the bus to answer any questions you have about the SkyTrain extension, stations, bus route changes and other transit related queries for your specific community. The first trip is this Saturday, November 26 in Coquitlam during the Lights at Lafarge festival. Come for the food, face painting and fireworks. Stay for the transit tips and Evergreen Extension bus awesomeness. TransLink is also sponsoring a shuttle bus to help get you to this event. You can view the shuttle schedule here. Keep your eyes peeled for this bus at more community events in and around the Tri-Cities as we prepare for the opening of the Evergreen Extension. Spot the bus? Let us know by snapping a pic with our team and tweet us @TransLink! Do you live, work or play around the new Evergreen Extension? Not only will you have more efficient options to connect with the rest of the Metro Vancouver transit network starting December 2, but you’ll also be able to help us out with a fun new Buzzer blog series! We’re looking for suggestions from Tri-Cities residents and riders like you to help us explore the Evergreen Extension. From favourite sushi joints to juice bars; coffee spots to the best parks and recreational activities. We will feature your suggestions right here on the blog and share across our other social channels in preparation for the opening of Evergreen. Comment below or email us with the subject line “Evergreen Explorer” to tell us where we should go along the Evergreen Extension to highlight these great communities! With the new extension to our SkyTrain network, there are many “behind the scenes” elements being tested and prepared. A vital part of our preparation for the opening of Evergreen involves comprehensive emergency training with first responders. 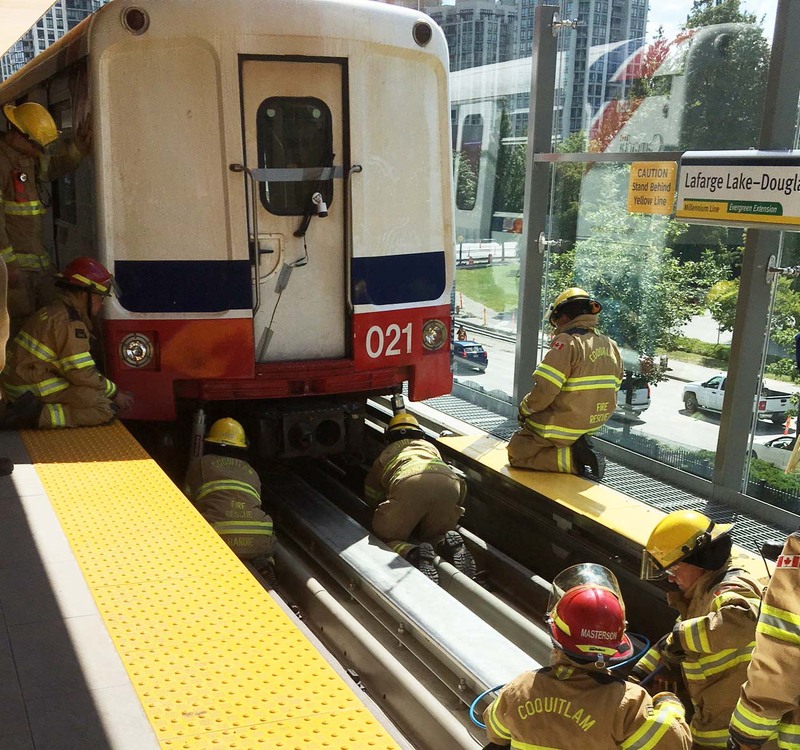 Emergency preparedness training is conducted routinely throughout our transit system to ensure the highest safety standards are maintained and continuously improve responses. Residents and riders in the Tri-Cities can expect to see some emergency training along the Evergreen Extension in the coming weeks. On November 12, 19 and 26 from 9 a.m. until 4 p.m. emergency personnel in the Northeast sector will be running evacuation and rescue exercises with emergency vehicles, bus shuttle scenarios, testing equipment, smoke and fire alarms as well as ventilation fans at Inlet Centre and Moody Centre Stations and both the north and south portals of the tunnel. The training will be a veritable who’s who of emergency response teams! Of course, we will have members of BCRTC, CMBC and Transit Police as well as Coquitlam Fire Rescue, Port Moody Fire Rescue, BC Emergency Health Services and Port Moody Police. Due to the training, some road closures around the stations will be required, but regular SkyTrain service will not be affected on these days. Remember! This training will look real but these are not real incidents. See what else is happening with the Evergreen Extension at translink.ca/Evergreen. 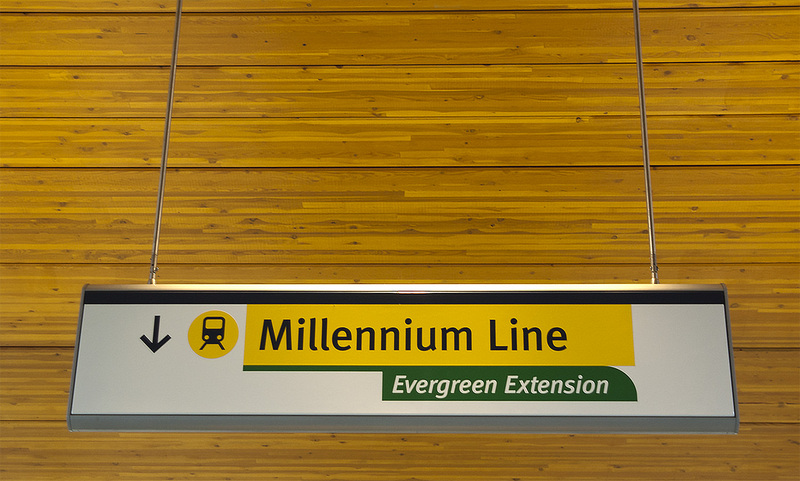 The Evergreen Extension to the Millennium Line is opening December 2, 2016! We’re so excited that our riders across the Tri-Cities will soon have more frequent transit options and be able to seamlessly connect to the Metro Vancouver transit network! It’s also an important milestone for the entire system because once Evergreen opens, SkyTrain will be the longest, fully automated, driverless rapid transit system in the world! Now that construction has finished, TransLink will take control over the operation of everything Evergreen. Right now, we’re focused on ensuring a smooth transition for our customers and we continue to get ready behind the scenes. On the customer end, you will start seeing platform posters and ads, transit advertising, digital, newspaper and radio ads, plus a video that will play on the system and in the media. To do that, we are testing the extension, planning the grand opening and preparing for the extensive bus integration that will take place after Evergreen opens. We know you have tons of questions about bus service changes and we will have all that info for you later this month once the changes are finalized. So, be sure to stay tuned to our social channels including Facebook, Instagram, Twitter and right here on the Buzzer blog! Starting on November 28, you can head to our Trip Planner to help you map out your route with new travel information. If you want to use Trip Planner, be sure to choose the specific date on which you want to travel. First train departs at 12p.m. on December 2 and a community celebration is planned at Coquitlam Centre – watch the blog for details soon! Bus service changes will begin to take effect on December 19. From November 21 to December 22, you’ll see our outreach teams all across the system. These wonderful people are virtual Evergreen encyclopedias and can answer your questions and help riders understand how the bus changes affect their transit trips. You can learn more by visiting translink.ca/evergreen for more information. For more information about bus travel once the Evergreen Extension opens, head to translink.ca/servicechanges on November 28. SkyTrain Change is a comin’! Are you ready for October 22nd? Change can be hard, but the good news is, it doesn’t have to be! We’ve got everything you need to help you on your way on October 22nd, and beyond! If you haven’t yet heard, on October 22nd, 2016 the way you ride SkyTrain may be changing. In advance of the Evergreen Extension opening later this year, the operating pattern of the SkyTrain network will be different than what you’ve become accustomed to. Arguably, the biggest change in the operating pattern will take place at Lougheed Town Centre Station and Production Way – University Station. Is Lougheed Town Centre Station part of your commute? Our friends in wayfinding have created this visual to help you understand what to expect come October 22nd. Are you a Production Way – University Station regular? 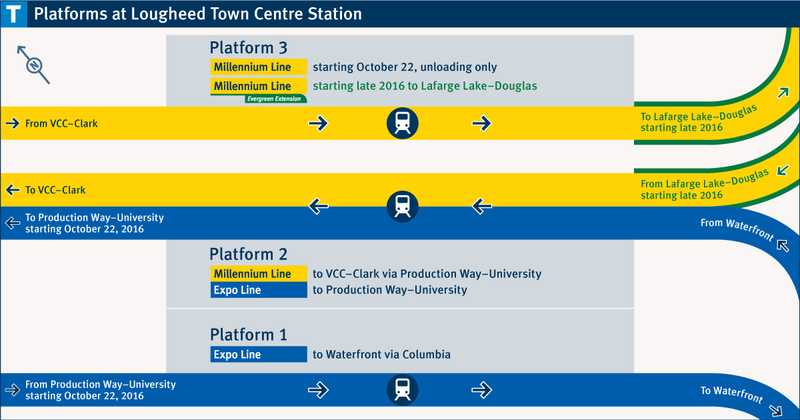 Here’s how the upcoming October 22nd change may affect your SkyTrain commute. Still have questions? Check out our Facebook Livestream with Ian Fisher, outlining all of the changes. You can also check out our live streams on Facebook and Periscope! o The Expo Line will now have two branches. One route will continue to travel between Waterfront and King George stations. A second Expo Line route will run between Waterfront and Production Way–University stations. 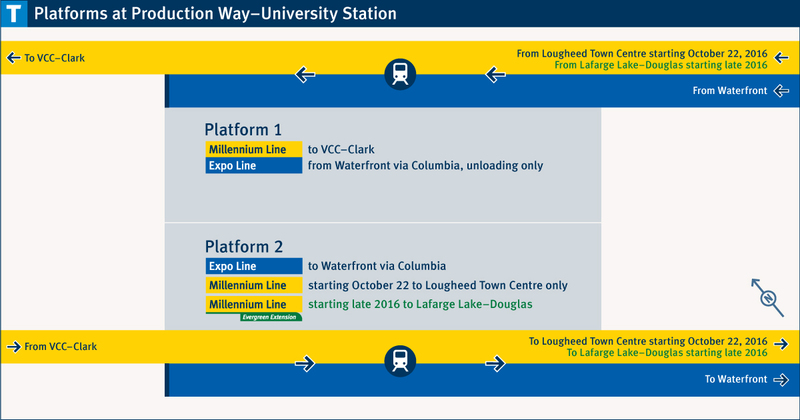 now run between VCC–Clark and Lougheed Stations. Please note: You will no longer be able to transfer to or from the Millennium Line at Columbia Station or Waterfront Station. In case you missed our announcement earlier this week — big changes are coming to the way you ride SkyTrain! 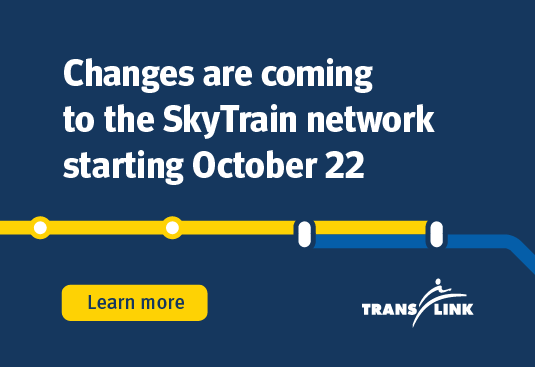 On October 22nd, 2016 the operating pattern of the SkyTrain network will change. We took some time today with Ian Fisher, Manager, Operations Planning to get an indepth look at what the new SkyTrain changes mean and how they will change the way we ride. BIG NEWS from the province today! I’ll give you two hints just in case the title didn’t resonate. So, not only is the Evergreen Extension to the Millennium Line going to be open before Christmas, but stations will also be provided with parking for commuters. This includes 150 new spaces available for transit users at the Lafarge Lake-Douglas Station that are fully funded within the project’s $1.43 billion budget and are on top of the 500 parking spaces outlined in the project’s scope! What is TransLink doing now? We here at TransLink are so thrilled with today’s announcement! We continue to get ready behind the scenes to ensure that customers will have an easy transition right out of the gates. There’s a lot to do and want to get it right before the extension officially opens. What about the Mark IIIs? A few Mark III trains have been on the system since August 18 and will continue to roll out and used where customers need them most. Read the province’s entire press release here. Want the latest on Evergreen?